All over the country people are fighting hate, standing up to promote tolerance and inclusion. More often than not, when hate flares up, good people rise up against it — often in greater numbers and with stronger voices. This guide from the Southern Poverty Law Center sets out 10 principles for fighting hate, along with a collection of inspiring stories of people who worked to push hate out of their communities. 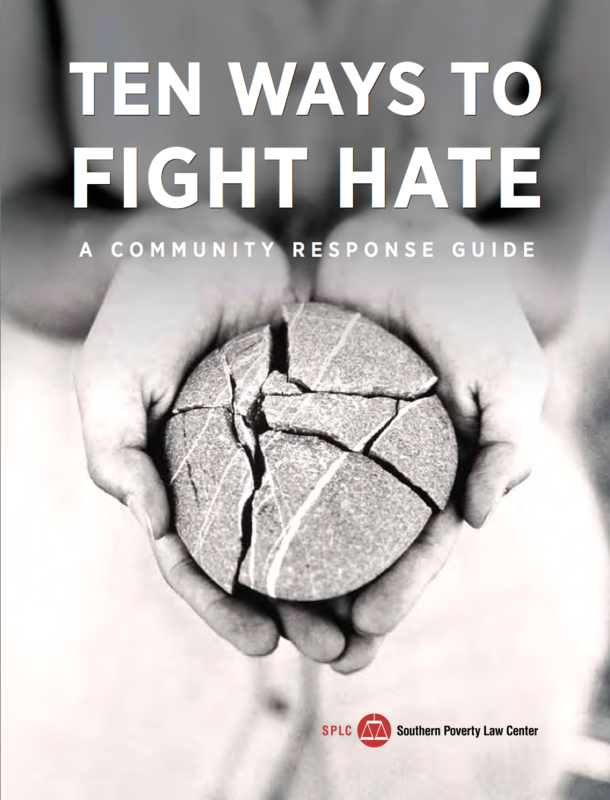 Read More: Ten Ways to Fight Hate: A Community Response Guide | Southern Poverty Law Center.